What Will You Say When Our Headhunters In Milwaukee Call? You may be caught off guard if you aren’t actively looking for a new job and one of our headhunters in Milwaukee calls. If you’re working somewhere you like and your job is satisfying, your first thought may be to tell us, “No thanks, I’m fine where I am,” but avoid the temptation if you can. In an uncertain economy, it’s always best to keep an open mind, particularly when it comes to employment. If you’re willing to listen, you may discover that there are opportunities you didn’t know existed. If you’re willing to give us a few moments of your time now, we’ll do our best for you down the road. You may be happy where you are; if that’s the case, you don’t need to listen to a lengthy pitch from one of our headhunters in Milwaukee. You should, however, be willing to listen for five or ten minutes. If you give us a few moments of your time now, we’ll remember you when you decide it’s the right to start searching for a new position. We’re always ready to help an experienced executive when he or she contacts one of our headhunters to discuss possible options. When downsizing, mergers, buy-outs or flagging sales unexpectedly turn your once-secure position into the search for brighter opportunities, we’ll be able to help. But if we call you at the office, let us know right away and give us an alternative number so that we can talk freely without jeopardizing your current position. Milwaukee headhunters don’t all have the same recruiting style. If you’re open to new opportunities, make sure you understand what the person you’re talking to is really interested in. Did they get your name as a reference for someone they’re vetting? Is it a cold caller hoping you’re willing to take a chance? Have they mentioned a specific position they’re trying to fill? Ask about details so that you can determine whether it’s a genuine offer for a particular executive position or an exercise in swelling the headhunter’s database of qualified leads. 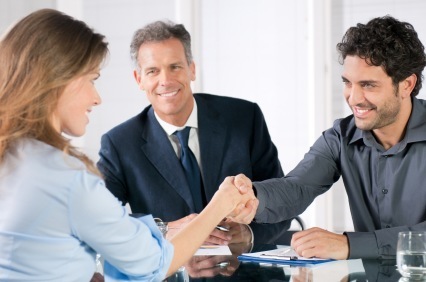 You should be able to quickly determine how serious headhunters in Milwaukee are about offering you a specific opportunity. If you’ve determined that one of our headhunters in Milwaukee is interested in you for a position that you’d like to apply for, start asking relevant questions. Clearly outlining your salary expectations as well as any benefits you expect to receive can save both parties from wasting each other’s time. Perks such as a 401K, relocation packages, pensions and health insurance are all important facets of any executive job opportunity and reliable headhunters from the Lawler Group can give you answers to your questions. In return, we hope you’ll provide us accurate information about your current position. Embroidering your past accomplishments or padding your salary only hurts you in the long run and could result in termination from your next job. If the position we’re recruiting for isn’t a good fit for you, speak up. We’ll appreciate your honesty and keep your talents in mind in case a different executive position opens up that is better suited to your needs. If you give us a strong lead for the current position, such as the name of a colleague who is looking for a better opportunity, you’ll not only be helping us, you’ll be helping your colleague. One caveat to keep in mind, however, is that you should never risk your current position by giving away too much information. Remember, you don’t want to decimate your own company. Keep the lines of communication open and remember to thank headhunters in Milwaukee for the opportunity to hear more about the position you were contacted about. Cementing a positive relationship with the Lawler Group’s headhunters now could lead to an executive position a few months or even years down the road when you’ll be ready to move up the ladder. 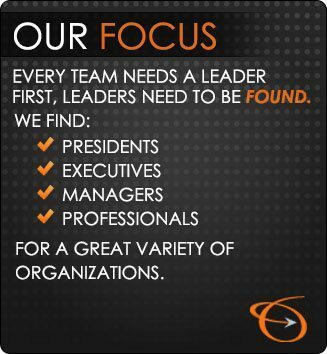 Contact us today if your firm needs help filling an executive position, or check out our available jobs listing if you’re interested in opportunities.